Well, it's been a fast and furious week for us here as we packed up the Christmas stuff and put it away, got the kiddos back in school, Eric back to work after 2 weeks of vacation, several projects made and blogged for this REVERSE CONFETTI release, and today I'll be doing laundry and packing to go to CHA on Friday. Whew! 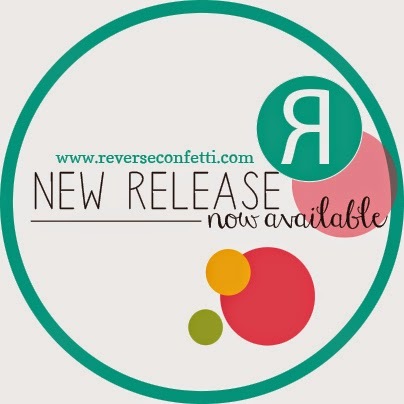 Even if y'all have as much going on as I do, I hope you get a chance to sit back and enjoy our new release blog hop from REVERSE CONFETTI today. With 6 new stamp sets, 8 new Confetti Cuts, and the introduction of the new Quick Card Panels, there's a lot to love on this month! The hop started over on the Reverse Confetti blog, and you should have made it here from Laurie Schmidlin's blog. It would be worth your while to start at the beginning of the hop, so you don’t miss a thing. We have tons of inspiration for you to see using all the new Reverse Confetti stamp sets and dies! I couldn't resist making more than one project for our hop today! 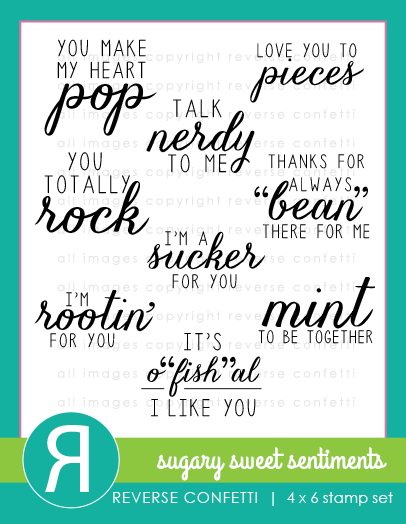 My first one to share is this cute "sucker" card that I used the new SUGARY SWEET SENTIMENTS on for the tag to go with the sucker. 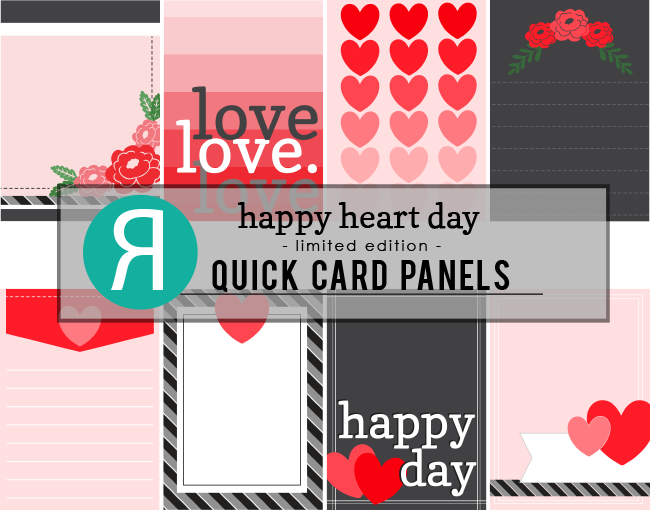 The background came together in a snap, as I just used 2 of the new HAPPY HEART DAY QUICK CARD PANELS. The "love love love" one is whole, and the ombre hearts are a strip I cut from another one of the panels to make my card square. Added the sucker and boom! DONE! Those QC Panels sure live up to their name! 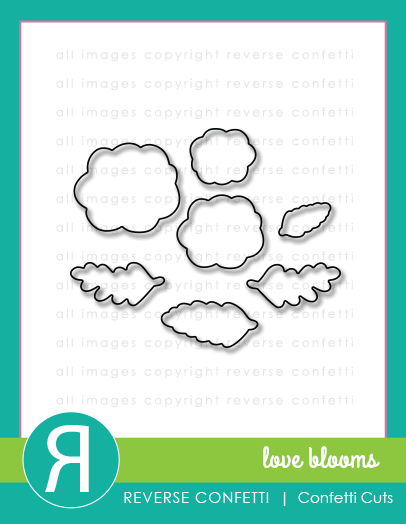 My next card is one focused on the new LOVE BLOOMS stamp set and coordinating LOVE BLOOMS Confetti Cuts dies. I decided I'd try layering the flowers for dimension since they come in 3 different sizes (in the stamp set and die sets). It worked out nicely! I stamped and diecut the bottom and top layers of my main flower and only diecut the middle layer with coordinating patterned paper. I furled them up a little bit to make the petals curly, then started just "clustering" them all together onto my tag for my card front. I love this saying, even though I think it's Jen poking fun at my age (again)! Ok, I hope you’ve enjoyed hopping with us today. Be sure and hop with us on the 8th of EVERY MONTH for more REVERSE CONFETTI inspiration! You've reached the end of the hop! If you got lost along the way, you can find the hop order and list of all the participating designers over on the Reverse Confetti blog. SUSIE Q-TIP: I love the look of the scalloped edge around the first base layer on a card. I accomplished this by piecing together 4 strips cut from the DOUBLE EDGE SCALLOP BORDER Confetti Cuts die, and gluing them to the underneath side of my large base layer after I had embossed it. Fairly simple. BOTH of your cards are soooo SWEET. Love all the details! OMG Girl your Valentine is so Cute and Funny.....talk about coming up with one super clever and creative card ....girl you did an outstanding creative job.....your 2nd card is definitely super sweet and oh so precious. You totally rocked this release. You are one super talented gal. Love both of your creations!! Love the striking colors on the first one with a fab LO and the second one is super cool with love blossoms!!! Your cards are WONDERFUL! Love the way you layered things. Thanks. Love valentine card with sucker and the blooms were fantastic and such a pretty card! Love this, and as usual, you've done an incredible card! Both fab cards ... I love your sucker card and the flower one is sooooo pretty! Love both of your cards and the layering. I like the way you added the royal blue to the red, black, and white on the first card and the warm colors on the second one! Susan you totally rocked this release!!! Fabulous card, Susan! I love the layered flowers on the second one! The quick cards panel looks awesome on a square card -- I didn't even think of that! I like the Love Blooms and I appreciate that you showed the card where you used that set. Good job. 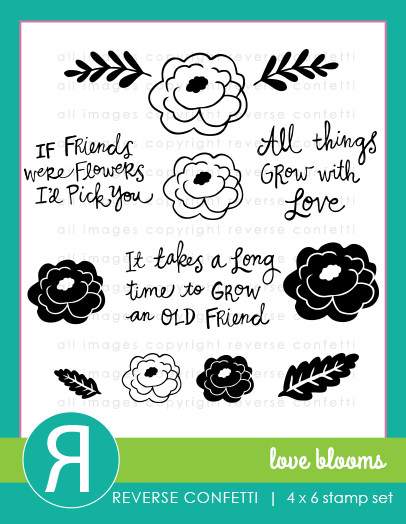 Your "Love blooms" card is GORGEOUS!!! Fabulous job! OH MY...both fabulous cards!! I love the color combos on both cards!! The layers on your second card are awesome! I'm going to have to check out those panels...they look awesome on the cards I've seen along the hop! !